Over the next few weeks I’ve invited a variety of DJs from Scratch Weddings to supply a guest mix! Each mix will be based on a certain part of the wedding day, and will hopefully provide you with some musical inspiration for your day! 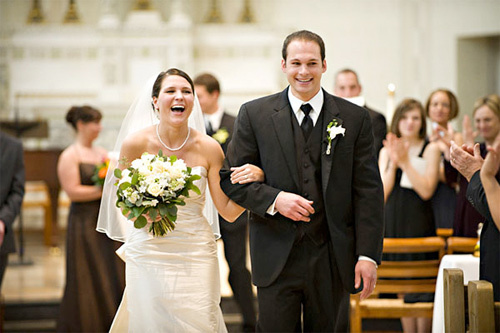 Today, DJ Jon Blak returns with a list of the songs that would be perfect for your recessional! You have kissed as a married couple for the first time and the nuptials are over. The excitement is through the roof and you’re both beaming with happiness. Now you’re ready to party! Countless hours of planning and months of waiting have culminated in that big kiss which launches you into a new chapter in your lives. It’s a life-changing moment, marked by huge smiles, a few happy tears, and of course some music! The big question is – what’s the first song you’ll hear together as newly-joined lifelong partners? Because it’s time to walk it out back down the aisle! Here are some songs I would suggest for you and your dearly beloveds to follow you back down the other way as “just married”. and can make your wedding critical not for you just yet for visitors, too.